Cindy's professional experience includes 36 years working with government-funded programs in both the public and private sectors, with an emphasis on long-term care delivery in a community-based setting. She earned her BS in Social Work from the University of North Texas. 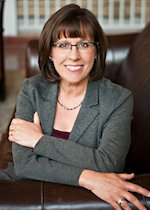 She currently serves on the Board for the Texas Silver Haired Legislature Foundation, and was appointed by the HHSC Executive Commissioner to the Promoting Independence Advisory Committee and the Aging Texas Well Advisory Committee. Cinema Touching Disability is pleased to have Cindy as a Short Film Competition judge for the fifth time. Dr. Laurence A. Becker received his Ph.D. in Creative Learning Environments in 1980, from the Union Institute & University. Prior to his PhD, he had served for ten years as Chairman of the English Department at St. Stephen’s Episcopal School in Austin. While at St. Stephen’s, he founded and, for six years, directed the Texas Student Film Festival- one of the largest and most successful student film festivals in the US at that time. Then in 1983, he directed and produced the international, award-winning documentary film With Eyes Wide Open about autistic savant artist Richard Wawro of Edinburgh, Scotland. For the past 36 years, he has worked with and written about some of the world’s most prolific autistic savant artists. Eric’s passions still reside in the arts, and he spends his time writing, making music, and constantly seeking new films to enjoy. 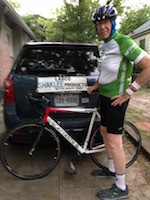 He currently works at VSA Texas, the State Organization on Arts and Disability. Cinema Touching Disability is pleased to welcome Eric back for his fifth year of judging the Short Film Competition. 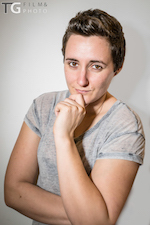 Teresa Garratty is an award winning deaf film maker and has been awarded two film funds to date. The first was for her debut as a writer/director (Admit None) and her second was for her most current film (The Quiet Ones), which has been shown at over 10 festivals around the world, including Cinema Touching Disability 2016. The Quiet Ones has enjoyed a lot of festival success with multiple nominations and an award for best film of the year. Teresa has been invited to attend a selection of theses international festivals, where she has judged short film competitions, given Q&A sessions about her films and talks on film making in general. She is currently developing her next film proposal as well as continuing to work within the film industry and deaf community through her own business at TG Film & Photo. Teresa is also a regular writer for The Limping Chicken, which is the worlds most popular deaf blog. 2017 is Teresa's debut as a judge at Cinema Touching Disability. Lynn Johnson received her Bachelor of Fine Arts Degree from UT Drama Department, Austin, TX and has spent her time in Film and Theater ever since. After working in the film industry in the 70’s, she continues her love of films by participating in SXSW and Sundance Film Festivals as a volunteer. In 1987, she began her theatrical adventures in Austin by working and volunteering for Live Oak Theater, Capitol City Playhouse, Zilker Hillside Summer Musicals, Texas Performing Arts, Long Center for Performing Arts, and Zachary Scott Theater, where she is a regular. Lynn has been a judge for Lights.Camera.Help annual film festival, and this will be her fourth year as judge for Cinema Touching Disability. Currently she is the Community Relations and Outreach Services liaison for VSA Texas, the State Organization on Arts and Disability. Today, Barbra continues to write books, is a strong advocate for healthcare, and lends herself to community service. As a Rare Disease Ambassador for Central Texas, she has organized rallies at the Texas State Capitol bringing awareness to the Legislature. 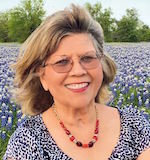 Barbra is on the city of Georgetown Texas ADA Advisory Board and also works from time to time as an actress for film and television, encouraging those with disabilities to pursue this profession. Cinema Touching Disability is thrilled to have Barbra return for her third year as a competition judge.